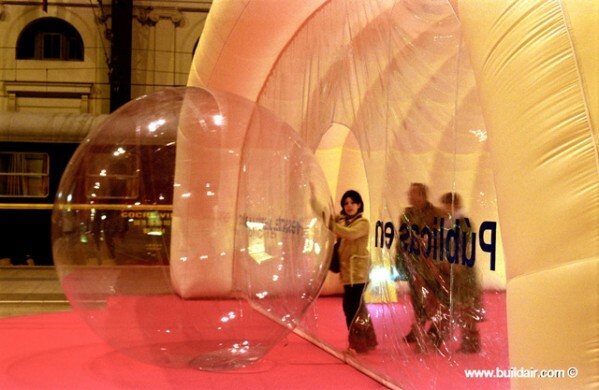 The use of modular inflatable structures was the solution for the Train Station’s exhibition of December of 2003 in the occasion of the "Public Infrastructures in Catalonia Exhibition" organized by the Spanish Association of Civil Engineers (CICCP - Colegio de Ingenieros de Canales, Caminos y Puertos). 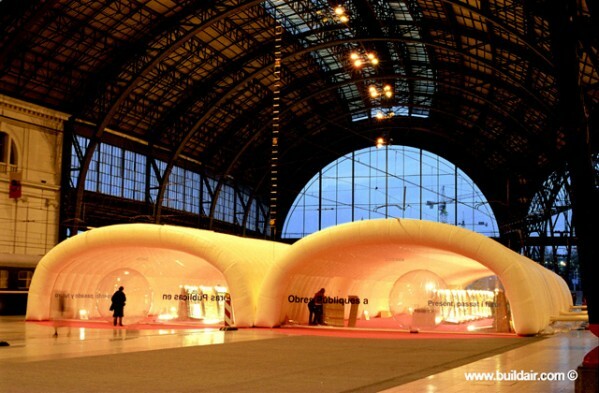 Buildair designed a group of modular inflatable structures to cover a space of 1,200 m2 using 6 pavilions of 11m wide by 16m long.The structure held the exhibition during November and December of 2003. 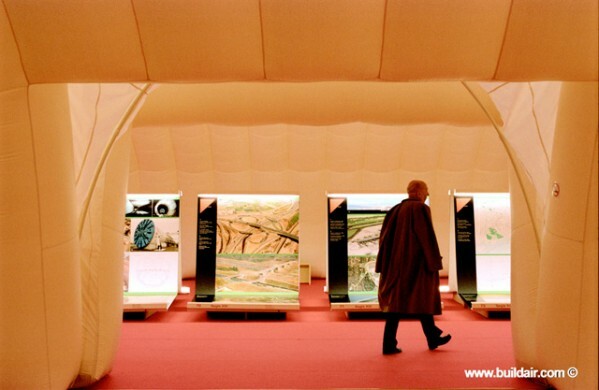 Currently these pavilions are for rent, grouped or individually.